With apologies for the non-restaurant-review interlude . 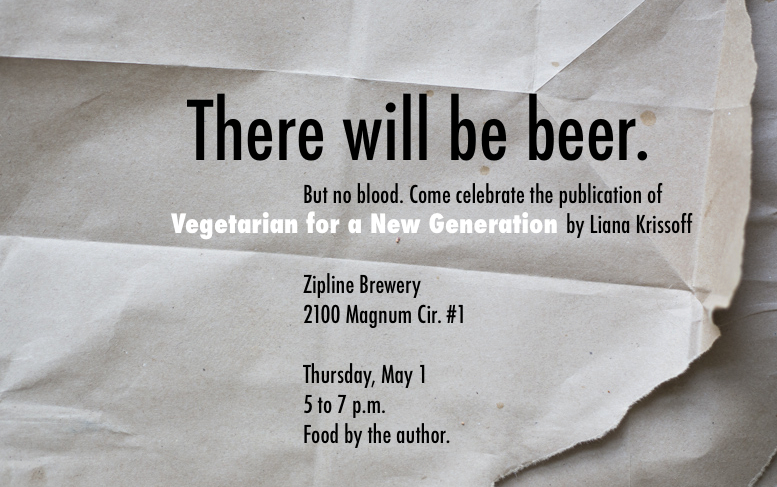 . . Lincolnites and Omahans, and everyone in between or remotely nearby, please join me at this cookbook launch event at the incredibly lovely Zipline taproom just over the viaduct in Lincoln. Sample some dishes from the book and a few Zipline beers (it’ll be happy hour, they make the best beers in Nebraska, and it’s not just me who thinks this), hang out on the patio if the weather’s nice (oh, it will be), and meet some fellow lovers of great food and drink. What else are you going to do on May Day?